This collection of forty essays is a continuation of those in Volume 1. 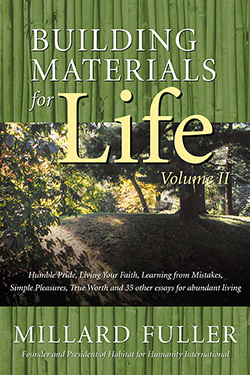 Volume 2 continues the series with essays on topics like direction in life, hope, urgency, sorrow, true worth, and simple pleasures. As in the first volume, the topics deal with matters, both religious and secular, that arise in the lives of people everywhere. This second volume provides new building materials that are relevant to issues people face, regardless of station in life, on a regular basis.